WiFi Explorer Pro 2.1.4 – Pro-level tool for Wi-Fi diagnostics. Next story SketchUp 19.0.1684 – Create 3D design concepts. Wireless Signal 2.1 – Get fast and precise info about your system Wi-Fi connection. 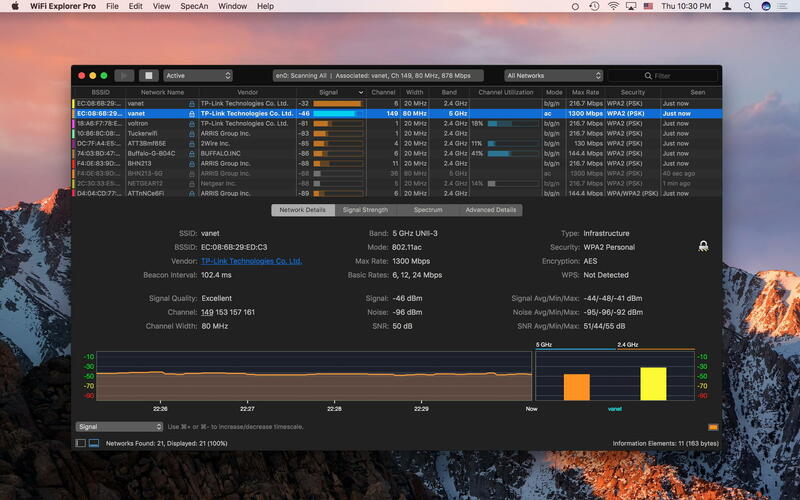 WiFi Explorer Pro 1.4 – Pro-level tool for Wi-Fi diagnostics. Wi-Fi SpeedTest 2.1.1 – Test network bandwidth.